Whether you sell eBooks in the fitness niche, or online courses on personal finance, there are a lot of valuable lessons that can be learnt and applied from observing what’s working for information product businesses outside of your niche. 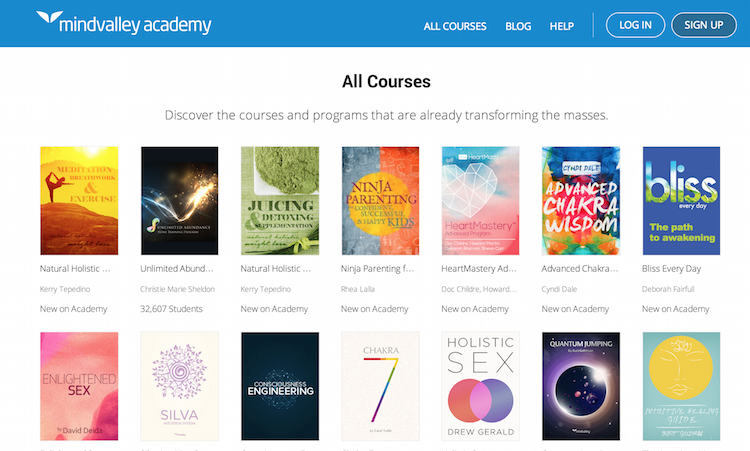 In this post, I’m going to explore some of the scaling strategies that allowed one guy to make $11 million per year from Clickbank affiliates, to how Mindvalley have grown to make over $40 million per year selling information products in the personal development niche. They all used either Ontraport or Infusionsoft. 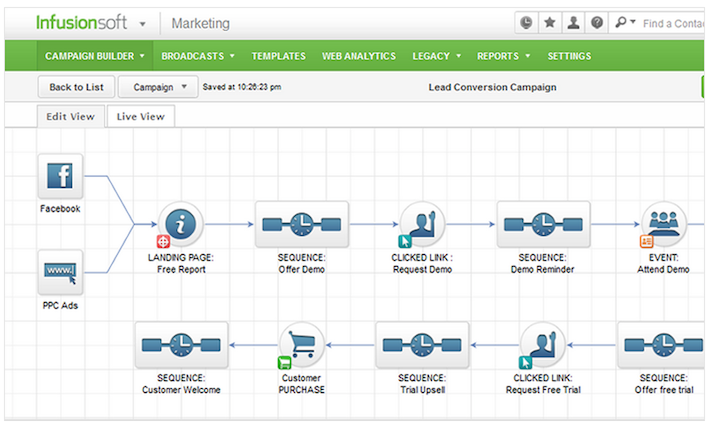 So why is marketing automation software so valuable to information product businesses? Ultimately, it comes down to the ability to create birds-eye view sequences that target subscribers based on specific actions they take. In a nutshell, it enables personalised targeting on a mass-scale. Let’s say you run a website about gardening and someone signs up for your free eBook on a beginner landscape gardening. Using automation software, that person can automatically be ‘funneled’ into receiving a sequence of emails that educate them on the more advanced landscape gardening techniques. If they clicked through on an email upselling a premium product of yours, but they didn’t buy it within 7 days, you could automatically send them a time-limited discount or an email asking what prevented them from buying. This hyper-segmentation is extremely powerful for information product companies, and can have a huge impact on increasing customer lifetime value and product conversion rates when implemented correctly. If you run an already profitable information product business and aren’t using marketing automation software, I’d strongly recommend looking into Ontraport or Infusionsoft. In 2011, Mike Geary was interviewed by Tim Ferriss on how he makes $11 million per year from selling information products in the fitness industry. 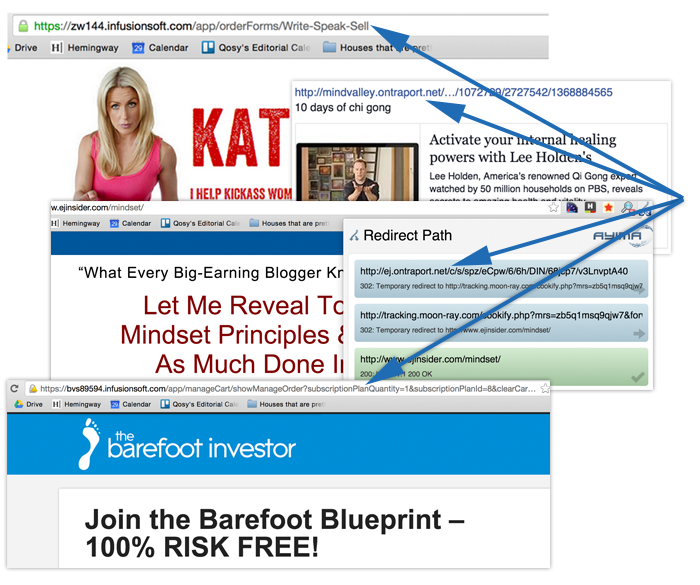 While the article contains lots of great advice on niche selection, investing in SEO, and various other aspects that contributed to his website’s growth, one of the most interesting points is how he leveraged the power of affiliate marketing. Mike explains that a major tipping point for his business was adding his TruthAboutAbs.com product to Clickbank and offering affiliates 75% of the profit for any products that they sell. As a side note, 75% is the maximum amount that a publisher can offer an affiliate on the Clickbank network. While it’s common for publishers to offer these kinds of commissions for information products now, Mike was among the first to offer a commission this generous. Needless to say, his generosity to affiliates paid off – hundreds of affiliates diverted traffic to his site, generating millions of dollars and making his product one of the most popular products on the Clickbank marketplace. Do you have an army of affiliate marketers promoting your products? If not, it might be worth experimenting with various affiliate networks. Across all of the information product sites that I’ve run and consulted to at Venture Harbour, the two most effective channels for acquiring customers are Facebook Advertising and email marketing. Where it gets interesting is when you combine the two. In a study where a leading retailer in the US targeted 925,000 email subscribers with both its regular emails and coordinated Facebook ads, they found that subscribers who received both were 22% more likely to make purchases than those who only received emails. Harv Eker has a great example of this. The majority of his email campaigns are also set up as Facebook Ads using Facebook’s custom audience feature (which allows you to target people with Facebook Ads based on their email address). In other words, if someone downloads a free eBook on your site, you can run ads to them on Facebook upselling a paid course. By combining this with a corresponding email campaign, you’ll likely see a higher uptake rate than if you just ran a Facebook ad or sent an email campaign. An easier, yet less-targeted, approach to achieve this is to use Facebook Exchange retargeting, which allows you to run Facebook Ads to anyone who visits specific pages on your website. In 2013, Shayne Tilley wrote a great post on ProBlogger entitled ‘30 Lessons Learned From Selling $30 Million Worth of eBooks’. One of his points was to consider evergreen products vs. timely products. From a scalability perspective, I’d strongly recommend going down the evergreen route. When you look at the exponential success of companies like Mindvalley, who’ve gone from $1m to $40m annual revenue in several years it’s clear that the reason they’ve been able to achieve this is by building on the success gained from previous years. If you currently rely on creating information products that have a shelf life of several months or years, perhaps it’s worth experimenting with producing timeless content that will generate revenue for the next 5-10 years. As mentioned earlier in this post, Facebook Advertising is one of the most effective customer acquisition channels, thanks to the ability to reach highly targeted audiences. One of the best strategies I’ve come across over years of running Facebook Ad campaigns is to split up your ads into tiny segmented ‘buckets’ and then distribute your budget towards the buckets that have the best performance. Last year, I helped a music startup increase their ROI by 470% by splitting their Facebook campaign into 50+ individual campaigns that were split by gender, 4-year age brackets, and location. In other words, we had separate buckets for 18-22 year old Canadian males, and 23-27 year old Canadian males. While you might not think that there would be too much difference in the results of these campaigns, we found that 23-27 Canadian males were almost 3x more likely to convert than 18-22 year old Canadian males. On top of segmenting your Facebook Ad campaigns by demographic targeting, it’s also valuable to split them up by ad type and placement. In a separate experiment, I found that changing nothing but the bid type of an ad increased the campaign’s performance by 400%. The lesson? Facebook Ads are enormously powerful and scalable, but you’ve got to experiment and segment them to figure out what’s going to help you scale up. Last year I analysed how six popular blogs, including ProBlogger, Mashable, and KISSmetrics reached millions of visitors. In almost all cases, they scaled their content output. KISSMetrics, for example, found that for every extra article they published on their blog per week, their weekly traffic increased by 18.6%. For information product businesses, traffic equals leads and leads equal sales. By generating a large archive of valuable evergreen content, you’ll eventually hit a tipping point where your traffic (and sales) grow exponentially and passively – without having to increase your advertising budget. While researching this post, I read a post by Brennan Dunn that hit close to home for me. It was the story of how he gave up his $1 million consultancy to create products. At the end of 2012, I made a similar tough decision to stop growing Venture Harbour’s consulting services and instead focus on building our own portfolio of online businesses. I still consult, but only to companies that I love working with, and only 2-3 companies per year. The real lesson in Brennan’s article, though, is how creating products in the same niche enabled him to generate $234,433 in product sales in his first year. By upselling your products to leads and customers captured from other product funnels, each product you create becomes easier to promote and monetise than the last. This is a recipe for exponential growth. Is your next product going to increase the success of your last product, and vis versa? I hope this post has been useful and has given you a few ideas on growing your business. If you need help finding the best web hosting company to get your idea off the ground check out our web hosting guide, otherwise if you have any other questions or tips feel free to post them in the comments below. I follow MindValley and try to model their processes along with Brendon Burchard. 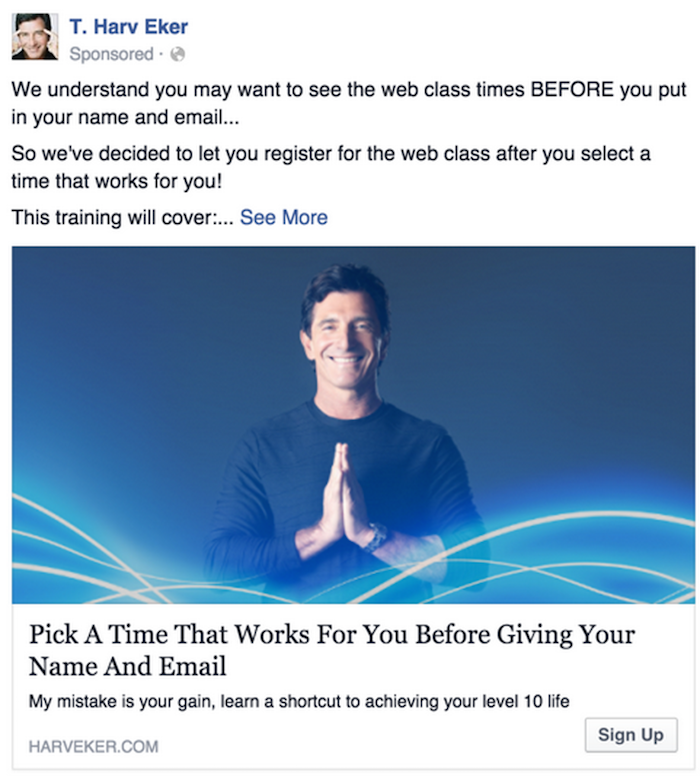 Lately, I have been seeing a lot of ads from Harv Eker and I think he was retargeting me. It seems, he is using custom audiences. Love these articles. I have a product written. Now where do I go from here?